Has Japan’s new download law pushed record sales down? 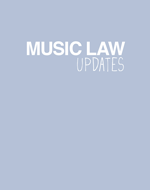 COMPETITION Recorded music, music publishing Both Sony/ATV and Universal have been told by the Brazilian competition regulator that they could not merge the respective EMI publishing and recorded music businesses with their existing companies in Brazil. This is a more difficult position that both majors face in Europe where divestments had been agreed. US regulators did not set any hurdles for the two mergers, seemingly relying on the EC measures. In one of his first interviews since acquiring the EMI record companies, Universal chief Lucian Grainge said he planned to launch EMI’s American label brand Capitol in the UK, the mega-major having been forced to sell off EMI’s UK-based Parlophone brand by European regulators.